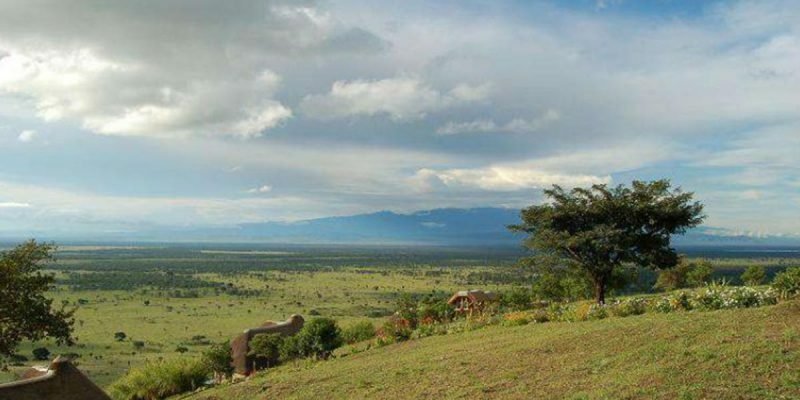 14 Days Rwanda Uganda Safari Holiday takes place in the in the western Rift Valley in the heart of Africa, involves a half day tour to chimps island, game viewing on the Savannah plains of Murchison falls National Park – elephant, lion, buffalo, hippo, and leopard. Track the chimps in Kibale National Park, Queen Elizabeth national park, In Ishasha go on the hunt for the tree-climbing lions lounging on old fig trees. See the rich wildlife and array of birds on the Kazinga Channel. Seeing some of the last remaining 800 mountain gorillas in the world is a fantastic experience and this safari takes you to two of the major gorilla parks in Africa that’s Bwindi in Uganda and Parc de volcans in Rwanda. The 14 Days Rwanda Uganda Safari offers an opportunity to track gorillas two times both in Bwindi and in PNV. Bwindi in Uganda has over 12 habituated families and the gorillas there live in thicker tropical forests and tracking is more challenging. You can also go for nature walks to see birds, monkeys and orchids, visit the Akagera National Park, Lake Bunyonyi, Kigali City tours etc. You can also climb a volcano or go for a nature walk or visit the endangered golden monkey. PNV in Rwanda has five habituated gorilla families and tracking most groups in the afro-montane forest usually takes only a few hours. You can also climb a volcano, visit the remains of Dian Fossey’s grave or visit the endangered golden monkey. ne starts at 0900 hours while the other begins at 1200 hours. The choice is yours to choose whether you take any at any time but all are subject to availability and therefore we must book them in advance. Enjoy the ride while on the largest lake in East Africa- Lake Victoria is! At Ngamba Island, they have replicated some of the country’s conservation zones such as savannah, wetlands and tropical forest. The boat takes about 45 minutes across to Ngamba Island Chimp Sanctuary, crossing the Equator en-route. On arrival at this home to 39 orphaned chimps, you will be briefed about the sanctuary and its history. After, the chimpanzee feeding time will come! Watch these primates from the visitors’ platform while they are being fed. It is fascinating to watch the chimps intermingle with each other and with their keepers. You will realize that most of them have different characters just like Man. Whereby some are very greedy others aren’t. This is charming!! In the relatively short amount of time you will be there , you will be able to see such different personalities amongst the group, with some whistling for food and others clapping. Clearly, the exceptional option would be to re-introduce these orphaned chimpanzees to the wild however this is not possible for a number of different reasons and the sanctuary is not bad for second best. Return to the main land after which we will transfer you to at your Lodge BB. In morning from Kampala, you will head to Murchison Falls National Park, but you will first take a luncheon at Masindi then proceed to the magnificent falls. So wondrous! Marvel at the robust Nile as it is far fetched into a seven-meter abyss to rumble 45 meters below. Check the series of cascades it forms, which can be viewed at different points up to the culmination. Wake up early morning for a cup of coffee or tea then set off for a 3-4 hours game drive on the northern Bank of the Nile River. Expect encounters of Game in this park that include Rothschild Giraffe, Elephant, Jackson Hartebeest, Lions, Waterbucks and a variety of Savannah woodland birds. Return to your lodge. Have a mid morning breakfast and relax as you wait for lunch. IN the afternoon, you will go for your reserved private boat ride along the Nile to view aqua game and avian species at close proximity. This is a unique encounter with a family of hippos , crocodiles, among other animals. For those interested in birds, watch out for the legendary shoe Bill stork if you are lucky and many other bird species. Then take dinner and overnight at Your lodge. Depart Murchison Falls after an early breakfast. You will pass through The Albertine rift via Hoima to the Verdant country side of Fort portal . Have lunch en route and arrive in the late after noon. Dinner and over night at Lodge of choice. Take breakfast early morning. Leave for Kibale Forest National Park, this is commonly accepted to have a diversity and highest massing of primates in East Africa. Enjoy a guided chimpanzee walk in the tropical rainforest evergreen in searching of the Hot springs, Black white colobus monkeys, wild chimpanzees, red-tailed monkeys, butterflies of different species and many others. Have a luncheon, and then go to the Bigodi areas for a swamp walk. The guide will provide details about the flora and fauna that you will encounter and then after, you will be transferred back to your lodge. Transfer to Queen Elizabeth National Park. The drive will take 2-4 hours. A game drive en route is rewarding with views of acacia trees, antelopes, birds and many other savanna wildlife and flora species. You will visit the crater lakes region, Katwe salt mines to see how salt is traditionally mined in Uganda. Then later transfer for dinner and overnight at lodge. We take on a morning game drive in search of the wild game . The drive will provide excellent scenic viewe of the great Lakes of Lake Edwards and Lake George, then also their gutter-the great Kazinga channel. In the game drive, expect elephants, lions, buffaloes, kobs, the Python, hyenas, warthogs, birds’ hippos etc. Return to the lodge for mid morning breakfast and then have lunch . In the after noon you will go for a boat -cruise along Kazinga Channel, a natural channel between Lake Edward and Lake George. Expect to get exposed to a bird sin abundance both typical and migrants and the highest concentration of hippos in Africa. Dinner and overnight at your lodge. Wake up for an early moorning breakfast and then transfer to Kyambura gorge for a chimpanzee tour. Driving through grassland area, straight away we come transversely to an amazing ravine of tropical rainforest 100 meters deep. Trek into Kyambura River Gorge for an odd; experience hiking chimpanzees. It’s so paying to see the river valley, home of many bird and butterfly species. Rangers will provide the necessary information about the gorge and then later you will return to your lodge for lunch, dinner and overnight. This morning, you will leave for Bwindi Impenetrable Forest National Park. You will drive through the seasonal southern sector of Queen Elizabeth known as Ishasha. Here we will take lunch by the Ishasha River if time permits and after searching for the famed Ishasha tree-climbing lions before continuing to Bwindi, home to the few remaining mountain gorillas. If you are tracking gorillas in the southern part of Bwindi , you will not be able to drive via this sector to shorten the drive between Kisoro and Queen Elizabeth national park. Bird life and primate life in the Bwindi national park is quite superb, and there is an incredible variety of flora. Some bird watchers refer to Bwindi as a bird heaven! It holds 348 species of birds and supports 24 of 26 Albertine Rift Endemics that occur in Uganda; and seven red data book species. Once continuous with the forests of the Virunga Volcanoes (Dian Fossey’s stomping ground), Bwindi is now an ecological island, surrounded by cultivation on the rich volcanic soils. Take breakfast, with your packed lunch and all your trekking gear, that is; a rain coat, ankle level hiking boots on, gardener’s gloves, pair of trousers and long sleeved shirt, etc go to the starting point for briefing by a ranger guide. Enter the gorilla sanctuary for your world premier wildlife encounter and adventure- Gorilla Tracking. The beauty of this rain forest is magnificent. The area offers dramatic steeply forested landscape and is incredibly dense, but criss-crossed by numerous animal trails allowing access to tourists. The time taken and the terrain vary with the movements of these great giant apes. The thrill of spending time observing these gentle and endangered giants is an awesome, exciting experience to be long savored. Many find it to be a rare and moving experience! Whether you track the “M” group or the “N” group, you will not find wildlife experience quite as exhilarating or emotional. Return to your lodge for dinner and overnight . After breakfast, drive across the Uganda – Rwanda – Kyanika Border . Have lunch en route and arrive at your lodge. You will check in and retire for dinner and overnight at Lodge of selection. Take breakfast and report to the starting point of the Dianne fossey hike for your excursion to slopes of the Bisoke volcano and pay a visit to the former Karisoke centre where the grave of Dian Fossey is located. Fantastic views, lush forested slopes and an exceptional environment. This fantastic hike to the grave will take 2 up 3 hours. Those who will choose Golden monkey tracking will be in for another primates watch treat . Return to the lodge to freshen up and then later, we will transfer you to Kigali and then to Kanombe airport for your flight back home.